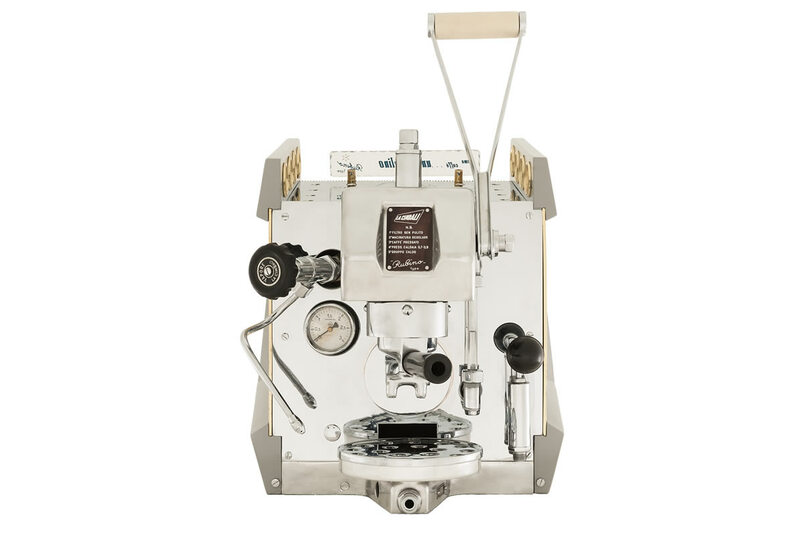 My passion for the coffee machines I have been collecting and restoring for 28 years now, and which led me to found MUMAC, the very first museum for espresso machines in the world, has further evolved with Officina Maltoni. 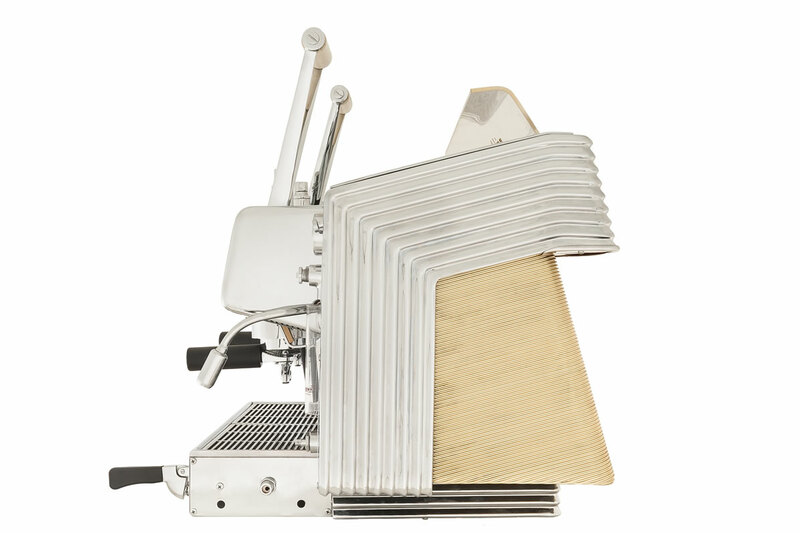 This specialised workshop has been created in order to restore vintage Italian espresso machines used in coffee bars, produced between 1900 and 1960. 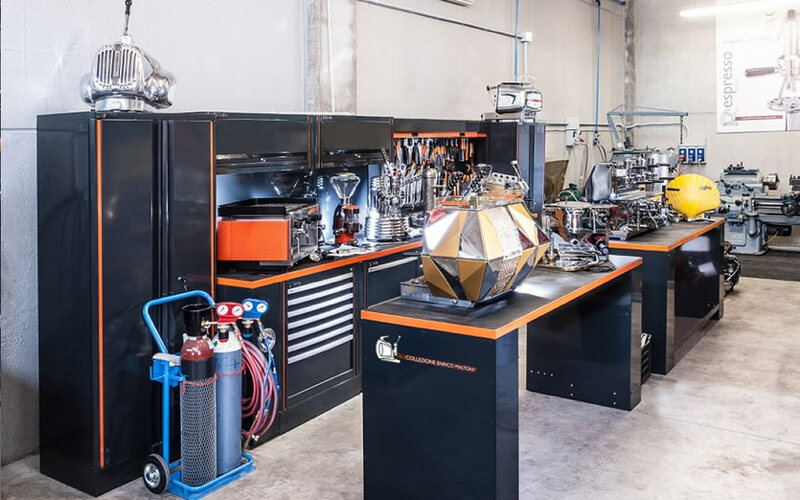 I am working with Matteo on this new undertaking in order to satisfy the requests of all those demanding collectors searching for the finest quality. Set out over a surface area of 220m2, our brand new workshop features a range of specialised equipment which enables us to carry out a number of tasks independently. These include sanding with glass microspheres, cleaning with acids, reconstruction of electric heaters, turning and milling, buffing, polishing and soldering. 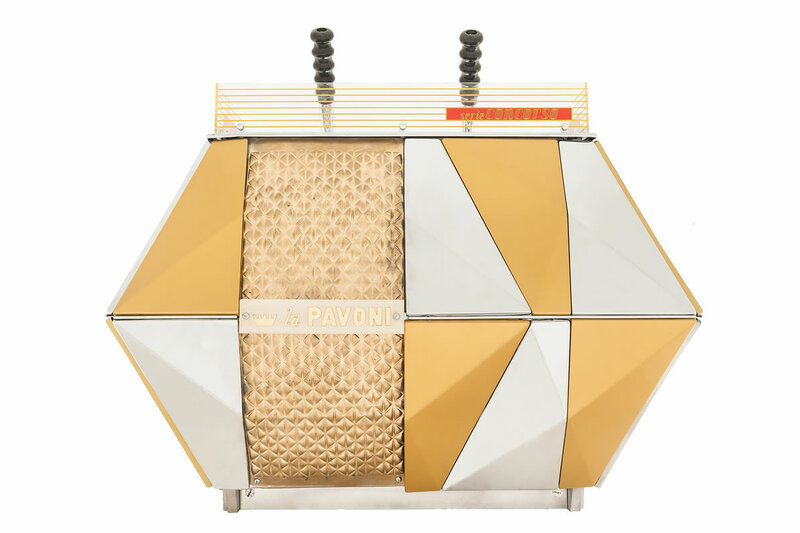 We have selected some exceptional partners, leaders in their sectors, to assist us in our undertaking, outsourcing the chromium work to Galvanotecnica and painting to both Fonderia Polverelli and Carrozzeria Fabbri. Restoration, be it complete or in order to preserve the current condition of a given machine, always starts with scientific and historical study. We use the Collezione Enrico Maltoni-MUMAC Museum archives, which house over 15,000 documents, patents, manuals and photographs in order to do so. This enables us to guarantee the authenticity of the sources on which the restoration work is planned. Leave the motorway at the Rimini Nord or Sud exit and follow the directions on the SS258 for Novafeltria. Once you get to Secchiano, take the third exit off the roundabout with the stone sculpture in the centre (there will be a restaurant, Trattoria Zangheri, on your left). Continue down this road until you reach the carpark, then turn right onto the dirt road. 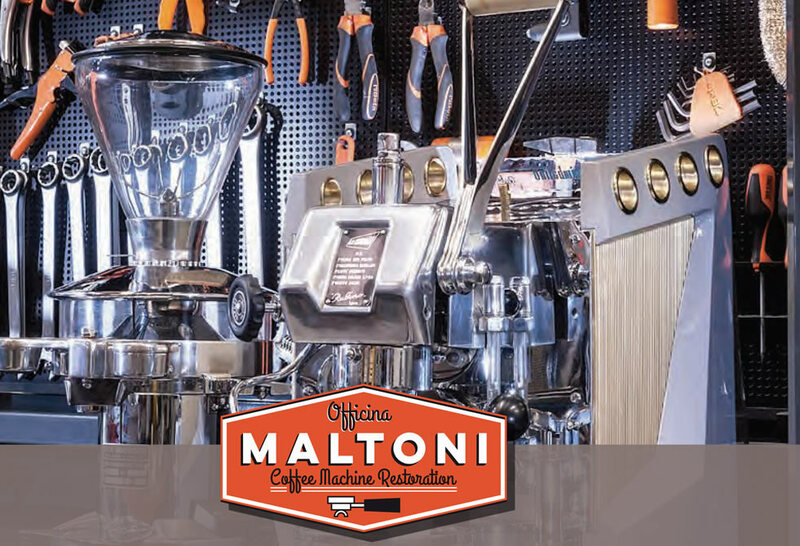 Officina Maltoni is in the fourth warehouse.